Just about everybody loves macarons. They’re soft, chewy, and seriously delicious — but making them at home can be a bit of a challenge. So we rounded up 12 expert tips for making them at home — from how to “age” your eggs whites, to getting a perfectly smooth shell — and included 12 of our favorite recipes to help get you started. Ready to tackle macarons? You got this! 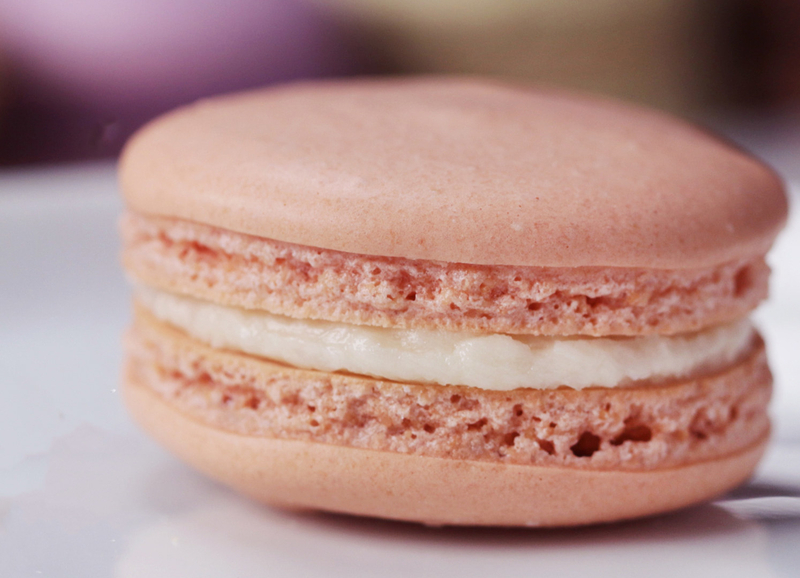 TIP #1: Double check that the weather is ideal for making macarons before you get started. When it comes to macarons, moisture is the enemy — so you don’t want to be making them on an especially humid day. Rainy or muggy days can negatively impact your macarons, so make sure you’re planning to bake them on a relatively dry day. Two teaspoons of espresso powder gives these shells a rich coffee flavor and light, golden color. While the recipe itself is pretty doable, just make sure it’s not too humid out before you get started. Get the recipe. TIP #2: “Age” your egg whites so they lose some of their excess moisture. Because moisture is the enemy, you want to make sure you’re removing any excess water that you have control over. One way to do that is to “age” your egg whites. This means separating your egg whites from the yolks and storing them in a covered container in the fridge overnight. This way, some of the excess water will evaporate out of the egg whites. The next day, just take them out and store them on the counter so they come to room temperature. Although some people think this step isn’t completely necessary, many chefs swear by the technique and write it into their recipes. Learn more: How to age egg whites for macarons. These festive macarons are the perfect treat to celebrate a birthday. Just keep in mind that, although the recipe calls for 60 grams of egg whites, you should measure them right before you use them, not before you age them. Some of the moisture evaporates out of the whites overnight, so measuring them ahead of time might messes up the recipe. Get the recipe. TIP #3: Blitz your dry ingredients in a food processor so you end up with perfectly smooth tops. After measuring out your dry ingredients (typically powdered sugar, almond flour, and salt), give them a few pulses in a food processor to make them even finer, then pass them through a sieve. This will make sure your shells turn out nice and smooth without any lumps. 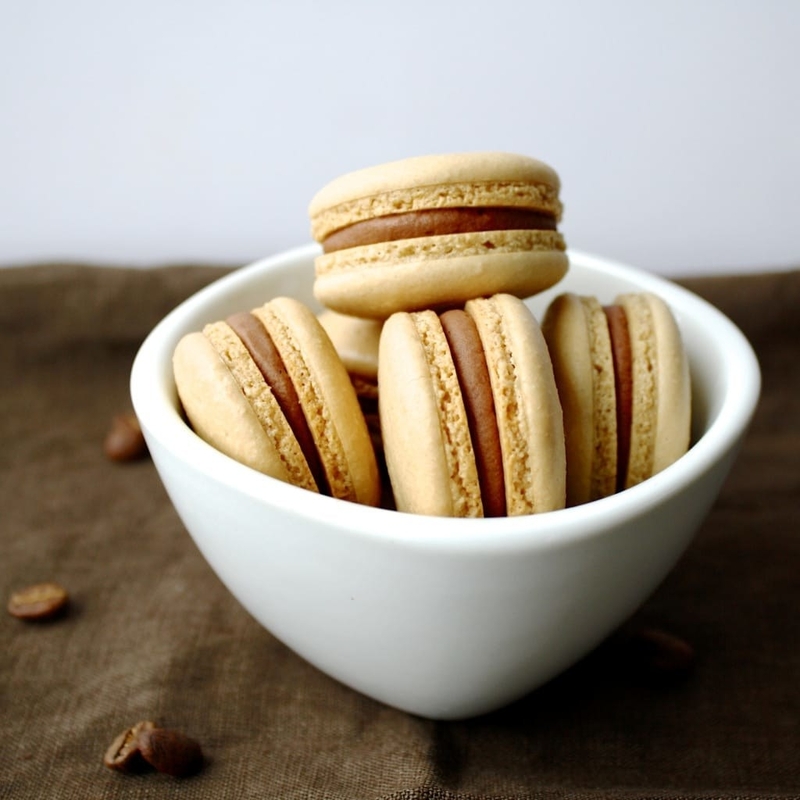 Learn more: How to make your own almond flour for macarons. If you’re new to making macarons, this recipe is a great place to start. It’s very straightforward, so you can feel free to personalize it with whatever coloring or filling you’d like. Get the recipe. TIP #4: When whipping your egg whites, be patient and slowly add your sugar. If you add it too quickly, your meringue might deflate. When preparing your meringue for the macarons, make sure you slowly add the sugar and wait until each addition fully dissolves before adding the next. If you add it too quickly or all at once, your meringue could deflate and not end up as stiff as you need it to be — so just go slowly and be patient. 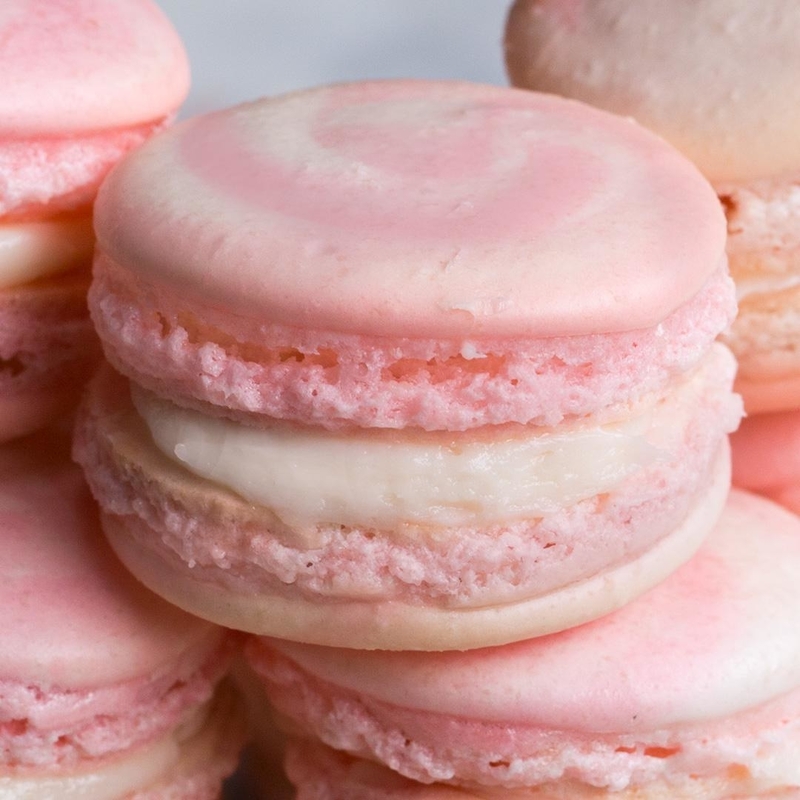 Learn more: How to make perfect meringue for macarons. These festive s’mores macarons are filled with chewy homemade marshmallow and dark chocolate ganache, so you know they’re gonna be good. The shells get sprinkled with graham cracker crumbs before baking, so make sure your meringue is nice and stiff so they don’t deflate! Get the recipe. TIP #5: Use gel food coloring instead of liquid to tint your shells. While most people have liquid food coloring at home, gel colors ($16 on Amazon) provide the most vibrant colors and do not change the texture of the macaron batter. Liquid colors can add too much moisture to the batter — but gel colors are extremely concentrated, so a little goes a long way. If you’re going to the trouble of making macarons, go ahead and invest in the right colorings. Learn more: Read more about the different types of food colorings available. 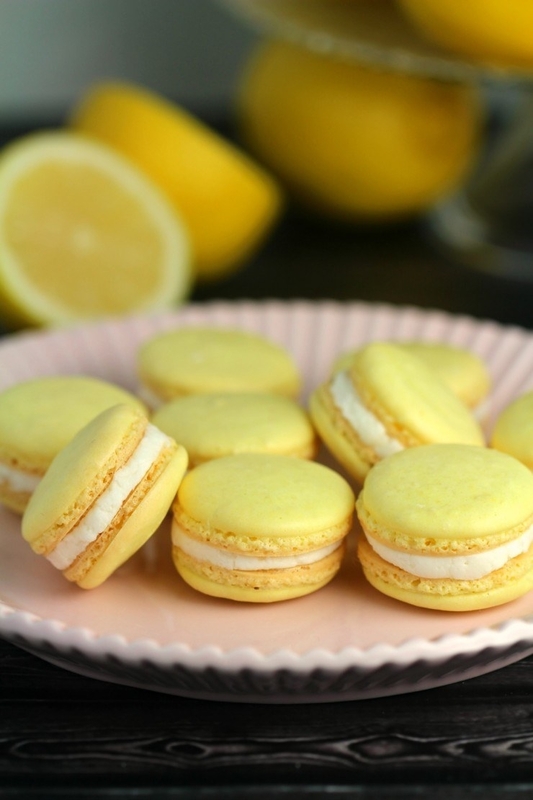 These macarons are filled with a flavorful raspberry lemon buttercream and get their cheery yellow hue from gel food coloring. Get the recipe. TIP #6: When mixing the macaron batter, do the figure eight test to determine if it has been mixed enough. If you read about macarons online for long enough, chances are you’ll come across the term macaronage. This term refers to the process of incorporating the dry ingredients into the meringue to achieve a perfect lava-like texture. One way to test if you’ve mixed your batter long enough is to perform a figure eight test. To do so, pick up a bit of the batter on your spatula and let it drip off in a figure eight formation. If the batter holds its shape long enough for you to create the pattern, you’ve mixed it long enough and it’s good to go. These macarons are the perfect combination of rich dark chocolate and tart cherries. When you make the batter, just remember to do the figure eight test to make sure you’re on track. Get the recipe. 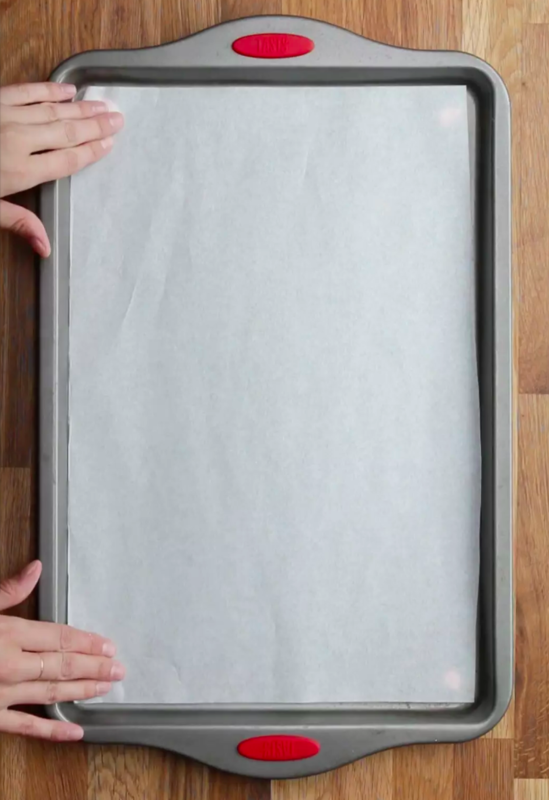 TIP #7: To keep your parchment paper in place while piping, pipe four dots of the batter in each corner of your baking sheet before placing the paper down. Sometimes when you pipe macaron batter onto parchment paper, the paper shifts or sticks to the tip of the piping bag. One way to avoid this is to pipe small dots of batter in all four corners of the sheet tray to glue it down. It’ll help hold the paper in place while you pipe perfect circles. 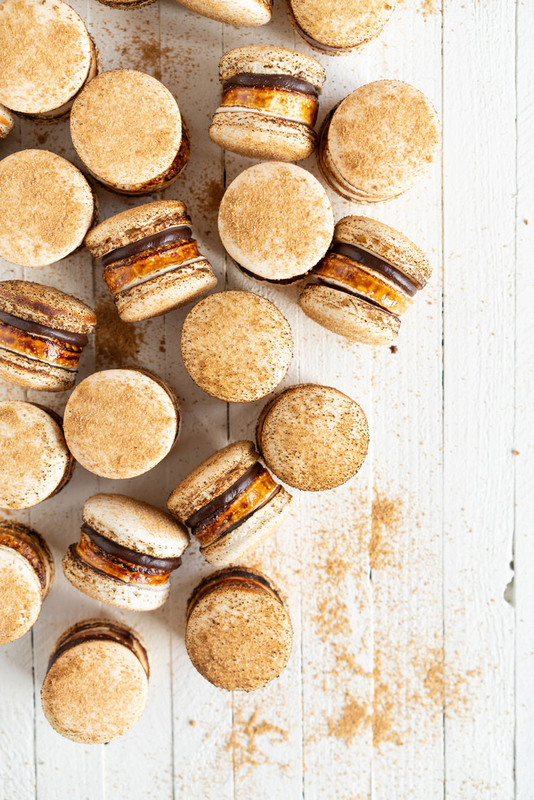 If you love chocolate and peanut butter together, you’ll love these macarons. The filing is a rich peanut buttercream, and the shells are perfectly chocolatey — so glue that parchment down with some batter and get piping! Get the recipe. 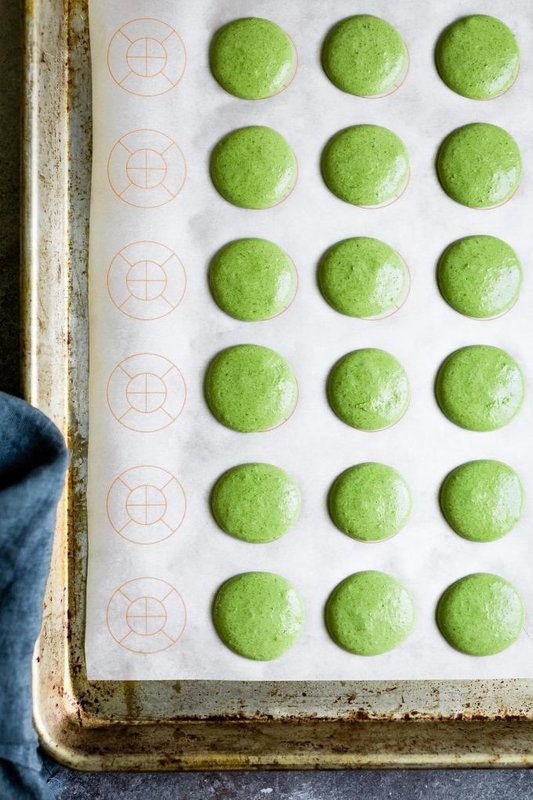 TIP #8: After you pipe your macaron shells, give your baking sheet a few hard taps to remove any air bubbles. 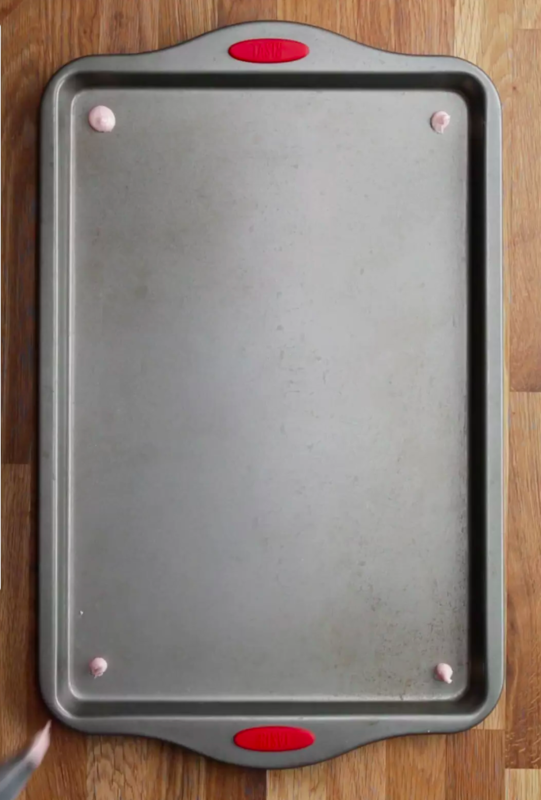 After piping, give your sheet pan a few hard taps against your counter to help flatten them out and remove any air bubbles. This will prevent hollow shells and make sure they come out perfectly shaped. 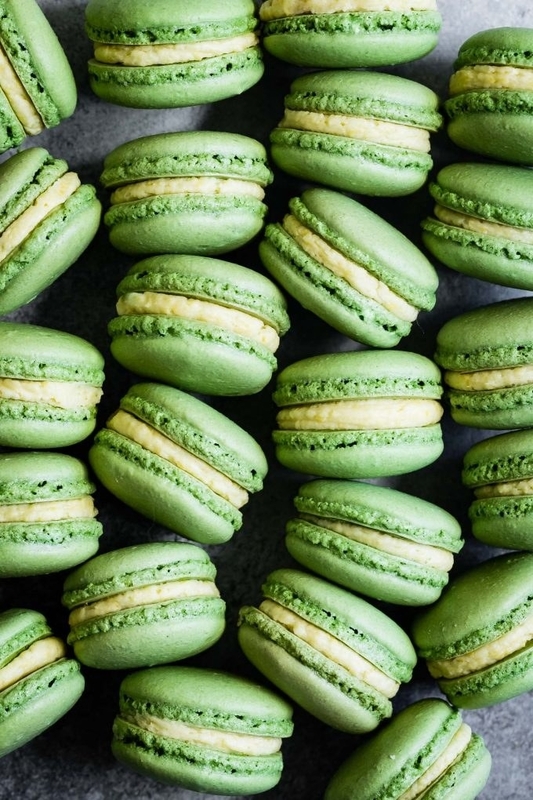 These matcha macarons get their vibrant green color and rich tea flavor from matcha powder — which can be found in the tea section of most grocery stores. 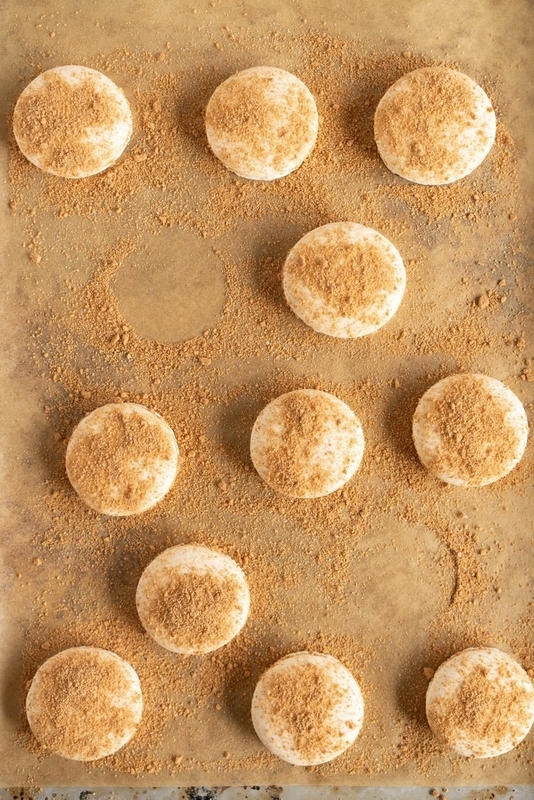 After piping, give your tray a good tap against the counter and these babies are on their way to perfection. Get the recipe. TIP #9: Let your piped (and tapped!) macarons sit at room temperature for about an hour — or until you can run your finger across the tops without smudging them. Letting your batter rest at room temperature after baking is an important part of macaron making. It hardens the shell, forcing the air to escape from the bottom and creating feet (AKA those little wrinkles that form on the bottom of properly baked macarons.) Depending on the humidity of your kitchen, the amount of time it takes to develop a skin varies. A good way to test if they’re ready is to touch the tops. If you can run your finger across them without the batter sticking, they’re good to go. This recipe fills the shells with a light mascarpone filling — and it also instructs you to dry them for 45 to 60 minutes, so do the touch test to determine when they’re ready to go into the oven. Get the recipe. 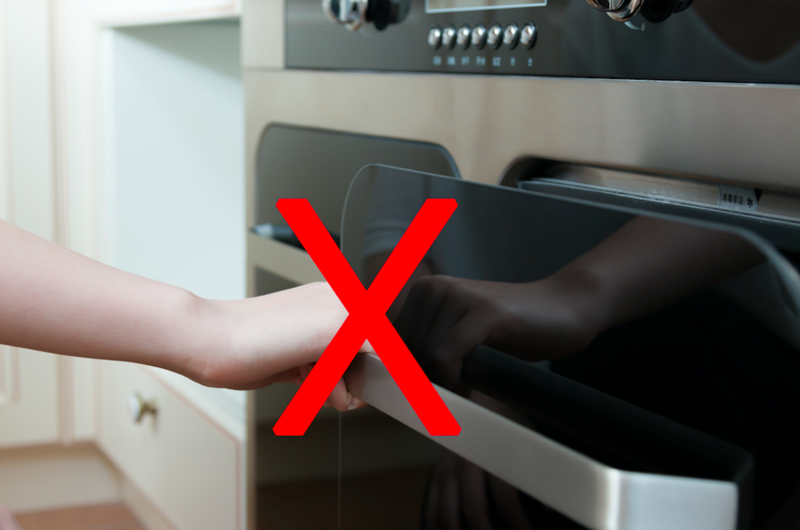 TIP #10: Resist the urge to open the oven door as they’re baking. Because macarons are so finicky, opening the oven door too often can cause serious issues. Every time you do, the temperature of the oven plummets and has to come back up. Do this one too many times and your macarons could deflate. Although it’s tempting, try not to open the oven and let them do their thing. 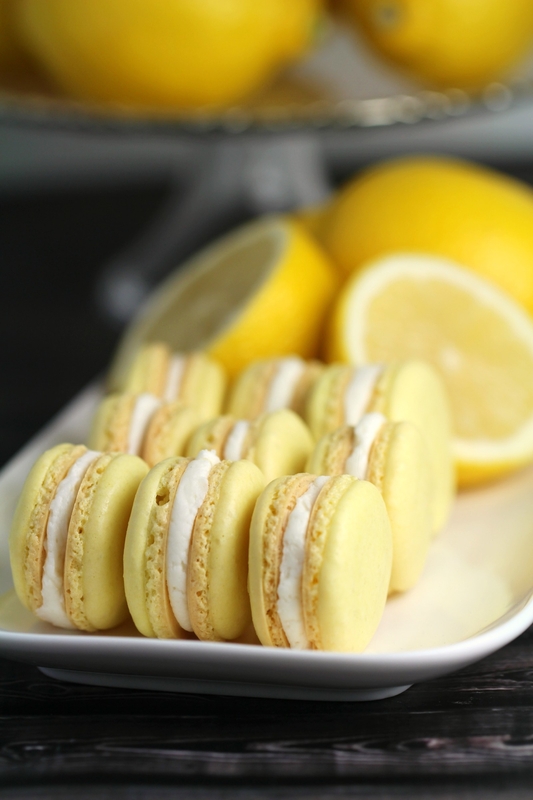 A combination of both lemon juice and zest give these bright yellow macarons a pop of zesty flavor. Pop ’em in the oven, trust that they’ll work (aka don’t open the oven door), and you’ll be on your way to macaron perfection. Get the recipe. TIP #11: When it comes to filling them, use just about anything your heart desires. The trick is to flavor the filling, not the shell. Flavoring the macaron shell is way more difficult than flavoring the filling. The shell is finicky, and too much extract can cause the texture to change — but the filling can be as wild as you’d like. You can go down the traditional route and use buttercream, or use jellies, ganache, or even marshmallow to fill your shells. The filling is the part you can get crazy with, so get creative. These macarons get filled with a tart filling made with cream cheese and jam, and they taste just like cheesecake. Get the recipe. TIP #12: Let your finished macarons rest for at least 24 hours — and feel free to pop them in the fridge in an airtight container. Many bakeries swear by storing their assembled macarons in airtight containers in the fridge overnight. This “ripening” period helps develop their flavors and give them their signature chewy-yet-crisp texture — so give them at least 24 hours before eating. These macarons use freeze-dried raspberries to add color and flavor to the shells, so don’t leave it out! And if you have the time, let them ripen in the fridge overnight for maximum flavor. Get the recipe.